Nikon just released the latest teaser video for their upcoming mirrorless announcement, and this one focuses on the other half of the equation: the lenses. And it looks like you'll have something to be excited about. The video is typical of the teasers, containing lots of hints and silhouettes and a voiceover that says: "As we embark on our next 100 years, these lenses are a new symbol of Nikon's quest for optical perfection." 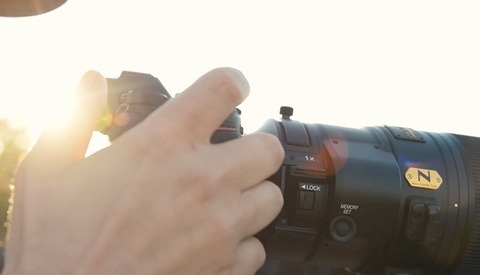 However, we do seem to get a bit more of a hint this time: the Noct-NIKKOR 58mm f/1.2 is featured prominently. Also notice that the featured lenses in the group shot are all wide-aperture 50mm or near-50mm lenses. Nikon recently trademarked the term "Noct," and it's worth noting that in the past, it was applied only to the aforementioned lens and designated it as being designed for excellent sharpness at its very wide maximum aperture. Taking all this information and combining it with recent rumors of a 58mm f/0.95, and I think it seems that Nikon plans on releasing a high quality prime with a very wide aperture and a focal length of 50mm or 58mm (though this seems to lend credence to the rumor of the latter). The next few weeks should be quite exciting! Boy, Nikon is doing an excellent job of building excitement, I can’t wait to see the new equipment. It is going to be MIGHTY interesting to see how sony's choice of an APS-C mount for their full frame sensor plays out long term when it comes to very exotic glass choices. So far sony has been very conservative with their lenses and not pushed the envelope in ways canon, and apparently Nikon are and will. In particular, if sony really hopes to be a leader, it will need to compete not just on the type of general vanilla 1.4 primes and 2.8 zoom lenses Nikon and canon are going to crank out, but on lenses like the rumored noct as well as tilt and shift lenses. 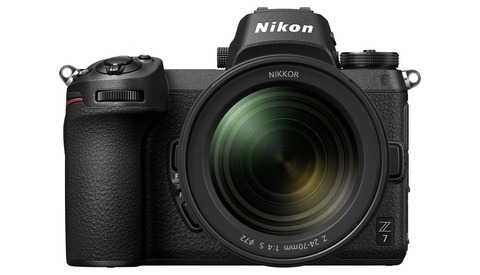 I wouldn't be surprised at all if Nikon doesn't leverage their new found love for all things wide throat with a wider than 17mm tilt/shift which presumably they couldn't create using the f-mount. And off course Nikon should also throw the gauntlet with wide angle glass that pushes past canon's EF mount limits. They should hold nothing back and exploit every advantage their Z mount allows them to. I want Canon and Nikon to keep pushing out great stuff, but you do realize Sony hasn't been in the game as long as CaNikon, right? I'm positive we'll see more lenses from Sony sooner than later. They already have a great lineup right now and are building it still. Nikon PR has definitely built excitement, but I usually find their releases as of late to be "just ok" and wildly overpriced. Just like the 105 1.4 which is a nice lens, but is beaten by the sigma art 105 at a significantly lower price. 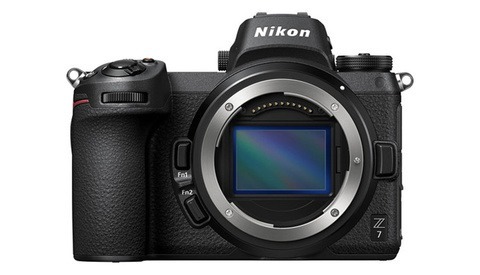 Nikon has been very unimpressive to me as of late. Really? I guess people are attracted to differing qualities in lenses. I wouldn't own a Sigma if it were given to me but I don't speak for everyone, either. I agree about way higher prices on Nikon lenses. Pricing of similar Canon and Nikon lenses show Nikon lenses are way way more overpriced. Canon 24-70/2.8 is $1899(1599 right now on sale) vs. Nikon $2396. Canon 70-200/2.8 is $2099($1799 on sale now) vs. Nikon 70-200 at $2796. canon 200-400 at $10999 vs. Nikon $12,396. canon 24mm/1.4 1549 vs. Nikon $1996. Why are Nikon lenses so much more expensive? is it because of their inner glow? I hope the new lenses are not int he Sony ballpark. Plus 58mm lens as an opening salvo in the mirrorless war? This is actually very good strategy. Introduce a system with bodies that are more ergonomic and lenses that can match or beat Sony. However my only worry is price. If there is anything to learn from their latest offerings, the prices are eye-watering expensive. I would love it if Sony would come out with a superwide .95 lens someday. I could go all Kubrick and light my scenes with only candlelight. The biggest problem with teasing is it usually leads to disappointment, the Nikon DF that is a bit of a failure to say the least. I think Cannon will clean up with there mirrorles camera as it will explode onto the market and a big entrance is far better than sneaking in.